University of Petroleum and Energy (UPES) has lunched a programme in Bachelors of Arts in Public Policy with the objective to help students develop professional skills and understanding of the art and science of public policy. UPES has aligned Civil Services Examination coaching along with the regular course curriculum for the BA programme. The aim is to prepare students for an exciting career in administration and policy making with emphasis on students’ participation in formulation and implementation of public policy. The course is designed to equip them with understanding of the subject, before pursuing further, in the field. UPES has collaborated with Dr. Lakshmaiah, IAS Study Circle to develop the pedagogy for training students to excel in the Civil Services Examination. Eligibility Criteria: Aspirants should have minimum of 50 per cent aggregate marks in 10th and 12th standards. Admissions will be done on the basis of counselling and interview. With a bachelors degree in Public Policy, one can work for Indian government agencies, international agencies, not-for-profit organization (NGOs), private firms, urban and regional planning, city management and financial planning. 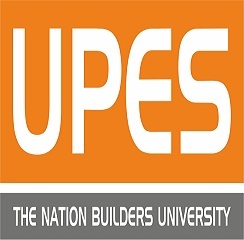 Your UPES Dehradun brochure has been successfully mailed to your registered email id .